Fathers Day is around the corner, have you thought of what handmade fathers day gifts your children will be creating? 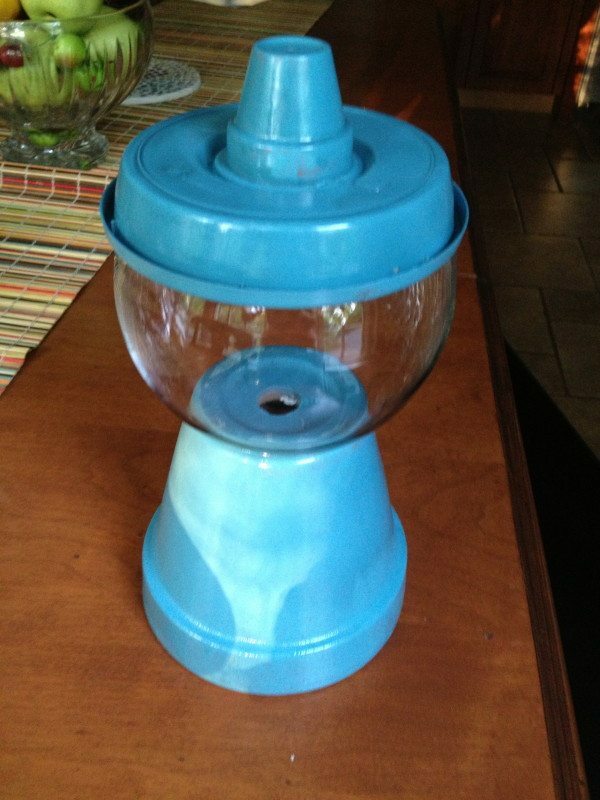 We happened to see this Candy Jar made out of terra-cotta pots at our local AC Moore store. Upon writing this, I happened to search it on Pinterest and there it was and such cute terra cotta candy jar pictures.. Why did I not think to check out Pinterest for additional inspiration? Oh well the kids were excited about making this, that is what is important! This project is really simple and you can really make a lot of them for a candy party or smaller variety for party favors. Make a few for teachers to display on their desks to hold special treats and rewards for the best behaved students. I decided to not get the terra-cotta top as I was afraid it might break or crack the glass with my children using this so I purchased a plastic planter saucer. Not shown is an inexpensive glass vase or bowl. My kids helped with the spray paint. 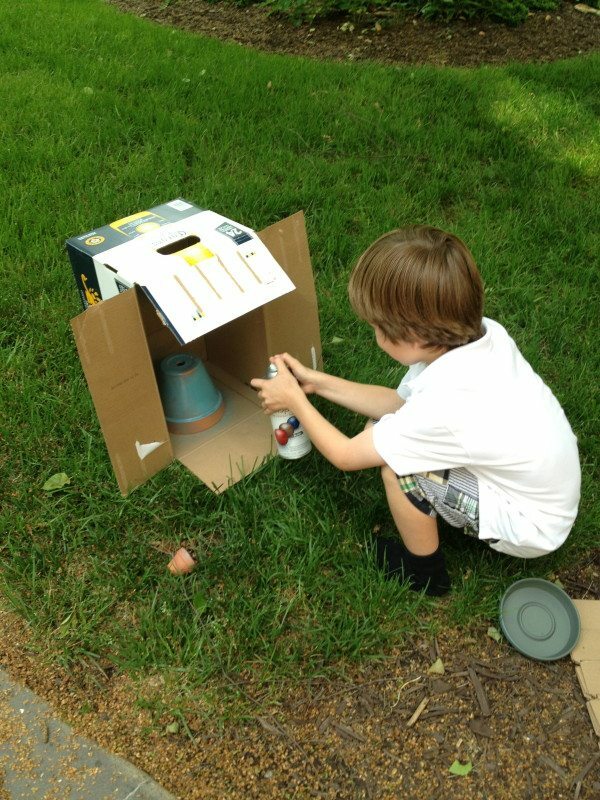 You can also paint the terra-cotta pot, but this seemed quicker and we had some spray paint on hand. 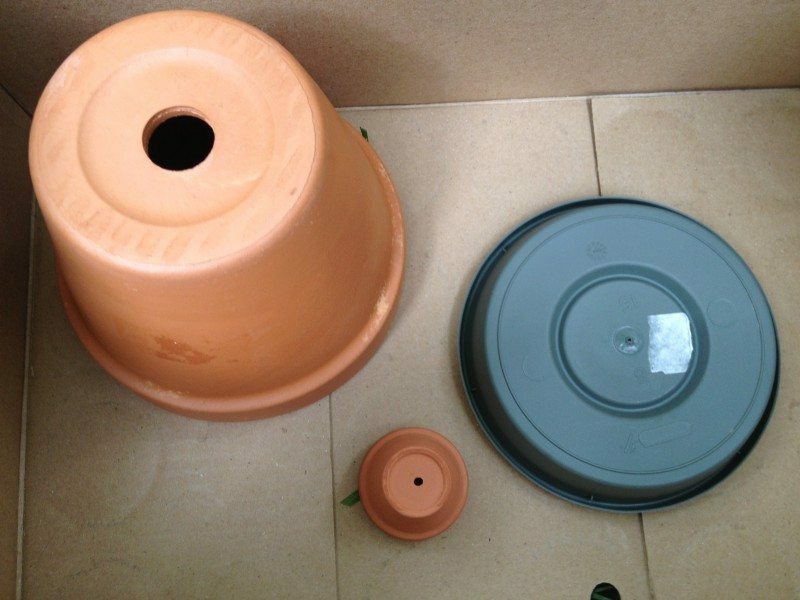 You will need a strong glue to attach the glass vase/bowl to the terra-cotta as well as the small terra-cotta pot to the saucer. 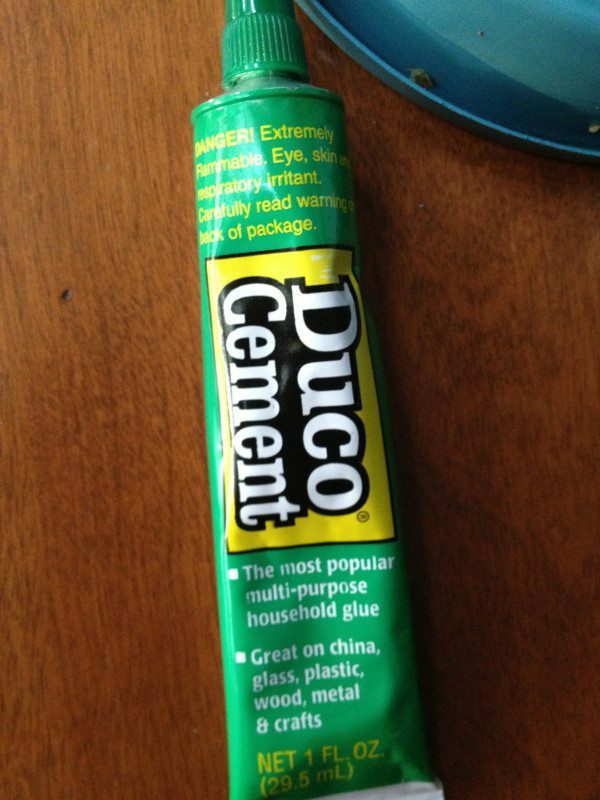 Just wanted to make sure I showed you a picture of the glue we used for this project. Attach the glass to the bottom of the larger pot with the cement glue once the paint has dried. Repeat with the saucer and handle! 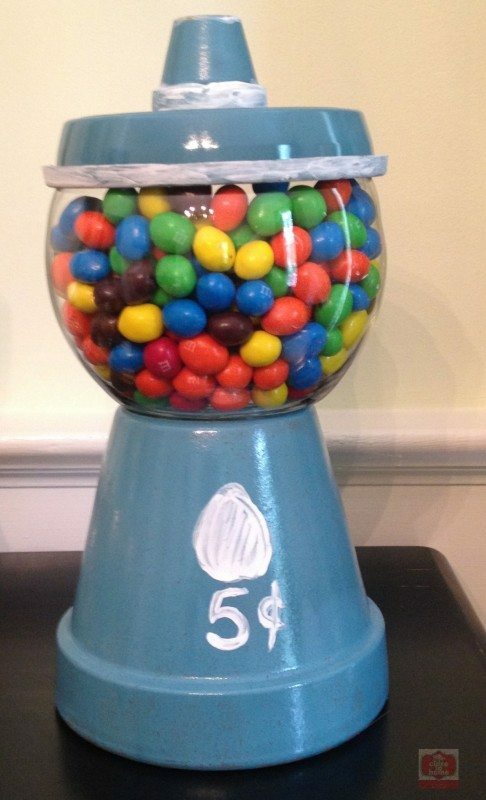 Filled with the recipients favorite Candy and you have a great gift for really anyone including teachers gifts. 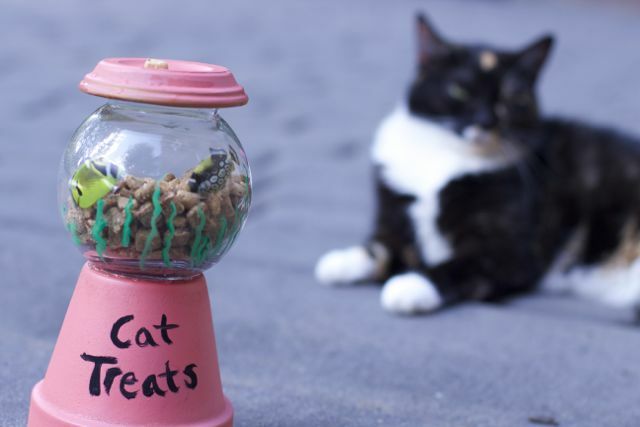 Also check out our Cat Treat Holder made the same way. If you read my Father’s Day Pinterest Post from last year, (you can find it HERE) I was inspired by a frame I posted there. Here is what I came up with for last year. The kids had a fun time hitting the fishing department of our Dicks Sporting Goods store and then simply using a little glue gun and a frame. Of course I made them go out fishing so I could take a quick picture to go inside. This makes it even more special. 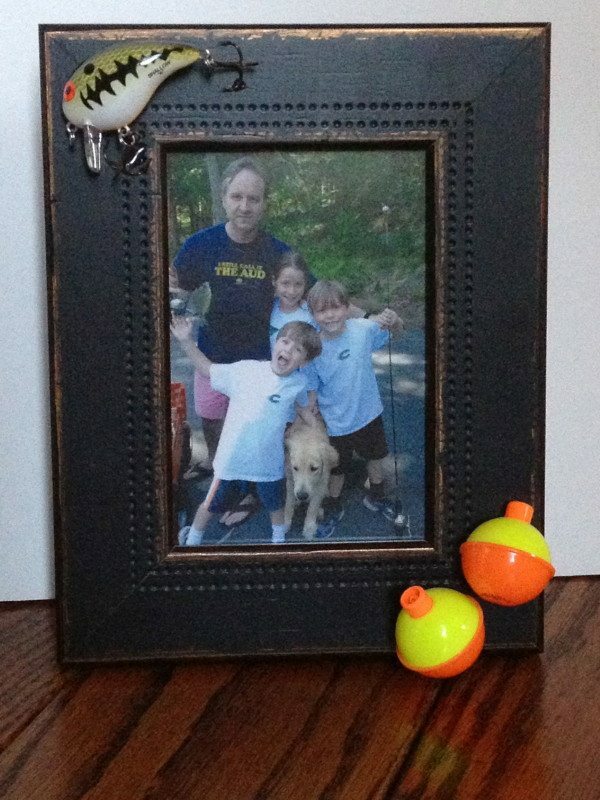 What great ideas have you found on Pinterest to make this Father’s Day or summer? « No texting while driving, but who says you can’t text while playing a fun games? super simple and kids had fun, not sure if they had more fun making this fathers day gift or eating from it! thanks marjorie if you make this love to see what you create. Oh my goodness, so adorable and such a great idea! I love it! It’s a very cool father’s day gift!! too cool! thx for posting! !